Learn the prayer of the Theotokos, and recite each evening with the family in front of the icon corner, “Rejoice, O Virgin Theotokos, Mary full of grace, the Lord is with you. Blessed are you among women and blessed is the fruit of your womb, for you have borne the Savior of our souls. Point out the angels in church. Make angel-shaped cookies at home. 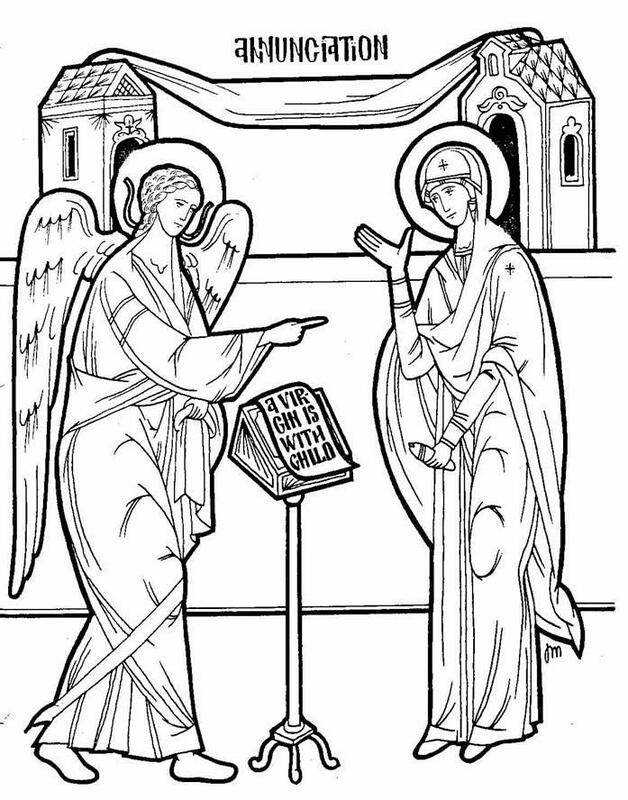 Annunciation puzzle and coloring icon. Place an icon of the Annunciation in a special place in your home this week. THE ANNUNCIATION: What did Gabriel say to Mary?